In some cases, of course, the Naruto series doesn't explicitly state how a particular skill, attribute or area will be like. Some ninjas we don't find out what clan they are from, for example. Some skills aren't explained properly. In these cases, we will interpret these things in some way. In this case, we use our own interpretation, which might disagree with someone else's interpretation. In doing this, we also have to be sure that this is a fun game to play. As such, we have to be careful to balance things out. In some cases, this means creating new skills that aren't in the Naruto series. In other cases, we may deliberately interpret a skill to be more powerful or less powerful than how it is commonly interpreted, just so that the game is playable. We also may create negative side effects of certain powerful skills if they seem to be too strong otherwise. The World of Naruto to this stage is not complete. We have some areas that are complete but also many more that have not even been started yet. We have some skills in but many more that we don't even have a clue how to do them. In doing all of this, we have decided on a vague sort of order of things. While kekkei genkai may seem to many to be the most attractive elements of the series, they are also the most difficult to try to make as part of a fair game. They could be written very easily (especially sharingan and byakugan) but in doing so it would be very difficult to do them fairly with respect to everything else. As such, kekkei genkai are planned to be the last sets of skills to be made, or at least some of the last to be made (we may leave some high level and forbidden jutsus until afterwards). Certainly, we would want to make sure that we had done all basic jutsus and worked out what all clans would have first, to make sure that it is fair and balanced for everyone. The game itself, once you get used to it, is very easy to play, especially for the first few levels. After that, it becomes increasingly more difficult. Whilst you can do the first exams, the Genin Exams, by yourself, for any other exams you need to have another player to run it for you. The exams get increasingly more difficult to win. We also have no skills after level 51 (even though the maximum level is 201) and there are also very few creatures above level 51. In time, we will make more. In time, advanced skills (above level 51) will be learned from scrolls that will be found after completing special missios. Before we can do this, however, we need to work out what are the basic skills and to put all of them in, all the time trying to make sure that things are balanced. In saying this, once you pass the Chuunin Exams (which you must have done to get beyond level 51), you have the chance to be a leader, and to be an active part of the mud as a whole. As a leader, of either your village, clan or guild, you can make decisions affecting other players on the mud - declare war - or broker an alliance. You also have NPCs (automatic creatures) named after you who act on your behalf. You can give missions yourself and award bonuses yourself. The challenge in the game increases dramatically after level 51, and continues to be more difficult afterwards. 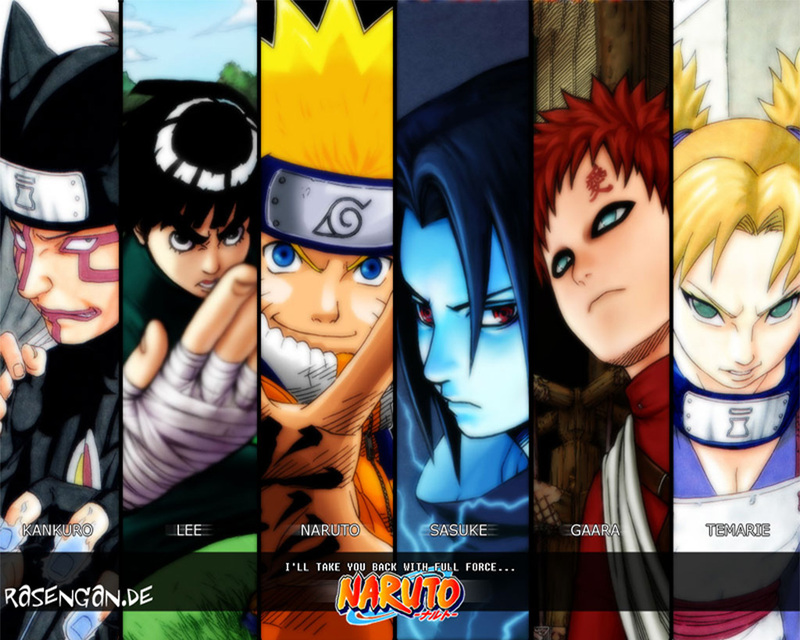 The final challenge, to gain the immortality jutsu is something which we do not believe that a single player will ever be able to do - and that it would take a team of maximum level players working really hard a very long time to do it. New Konoha - Konohagakure, as shown in the Naruto series, accurate to the map based on the series. Valley of the End - between Fire Country and Rice Fields, where Naruto and Sasuke fought on the statues of the founders of Konohagakure, Madara and Hashirama, who come to life. Iron Ninja - a special area where you can test your skills against the best ninjas around. We will also at some point do the 3rd, 4th and 5th levels of the crypt. There is still a long way to go, but every day we get closer to making this look like a true World of Naruto.